Posted in Air Travel, Climate. How is it that I often hold the same opinions on legislation as Jeb Hensarling? 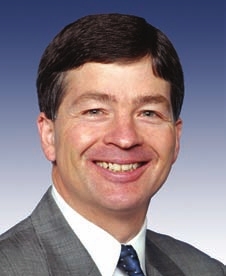 Jeb Hensarling is not a person I am particularly fond of. He consistently votes against hate crime legislation, LGBTQ rights, pro-choice and women’s rights, and other morally correct things to do. He is socially conservative, and promulgates all of the negative social rhetoric that characterizes social conservativism. The world would be a better place if he were not a Member of Congress. Nevertheless, I actually agree with many of his positions on economics. How could I be so diametrically opposed to conservatism and yet agree with some of his policy? I think the answer to this question lies in the distinction between social and economic policy, or more so, social conservatism and economic conservativism. I would characterize my political position as economically conservative, and much farther to the left socially. As a society we have coopted all of conservatism into Republicanism, and all of liberalism into being a Democratic, but truly that is not the case. The political spectrum is at least two-dimensional, and I certainly do not identity myself on the one-dimensional left-right spectrum. Before diving into the policies and the foundations for our opposition, it is helpful to expound a bit on my personal economic philosophy. Market intervention is warranted by the government when there is the presence of a market failure. Furthermore, regulation is justified when government policy creates perverse incentives that ought to be contained. For instance, heavy industry generates pollution, which is a cost that people who do not necessarily consume the products of industry have to incur. This is known as a negative externality and is an example of a market failure. Therefore I believe that the government has a role in helping to resolve this failure. Similarly, many countries in the world have deposit insurance for banks. Because of this assurance banks may take more risky gambles. This is known as moral hazard. Therefore I believe that the government is justified in regulating banking, insofar as the regulations are crafted to control the moral hazard that its policies create. However, beyond these types of corrective interventions in the market, I believe that the government should not intervene and let market forces prevail, which is to the benefit of all actors in the economy. I believe that those statements express a philosophy of economic conservativism. And certainly, in terms of economics, I may not be as far right as certain conservative politicians – the Rands come to mind – but I am certainly to the right of most self-identified liberals. The purpose of these financial activities is to promote exports; in particular, to finance exports that the private sector deems too risky. Loan guarantees make up the bulk of Ex-Im financing. Direct loans are second up. Smaller firms typically take advantage of the working capital guarantees, particularly since their banks get nervous when receivables are in a foreign currency. Due to the Ex-Im Bank’s ability to borrow at the Treasury rate it is a very profitably institution. So profitable in fact, it kicks money back to the Treasury – about $1 billion a year. The bank is not appropriated any budget funds, and has a very low default rate. However, the mission of the bank is not to generate income for the federal government. The purpose is to promote exports, support the American industrial and manufacturing economic base, and create jobs. Jobs jobs jobs! Hensarling & Co. dislike the Ex-Im Bank because they consider it “corporate welfare,” a clever piece of rhetoric meant to mean, ‘giving money to rich companies that don’t need taxpayer help making any more of it.’ They claim that for all the money it dishes out it is fundamentally excluding other businesses. Other worthy businesses. And this is not right, so they oppose the bank, which primarily support America’s largest companies, such as Boeing, GE, and Caterpillar. This simply is not the case. To construct the Ex-Im Bank as a deliberate attempt by the US government to support fat cats at the expense of other businesses is a distortion of reality. The government does not spend any money on the bank. Given the government’s ability to borrow at low rates, the government could set up any number of financial institutions with a similar financing model and support any industry it sees fit. It just happens to be that for 80 years the government has chosen to specifically support industrial exports (and many other industries, which the Tea Party is choosing not to mention). The opponents of Ex-Im are simply using the bank for political theatre. Like most of their arguments, their rhetoric is misleading. Why don’t I particularly care for the Ex-Im Bank? It is because there is no evidence to point to a market failure in the export financing sector. Furthermore, the bank creates export subsidies, which distort international markets away from their natural equilibrium. It’s the same reason that I am in favor of free trade agreements. However, over 60 countries have export credit agencies like the Ex-Im Bank, so there is more or less an even playing field. But there would be just as much of an even playing field if every country scrapped their subsidies and let the market take care of international trade on its own. Furthermore, the Ex-Im Bank is a government sponsored enterprise (GSE). It borrows at government rates and uses that money to guarantee loans aligned with the government’s long-term goals. This is exactly like Fannie Mae and Freddie Mac, the two most notorious GSE’s (which, not to my surprise, Hensarling also opposes and has sought to wind down). Now I am not saying that the Ex-Im Bank is headed towards a default a-bomb (nor am I saying that it is not), but in general, I am opposed to GSE’s. When the government supports a particular market and not others it picks winners and losers. Not particular companies as winners and losers (like Hen-chmen claims), but particular industries, as the recipients of capital or not. People see winners and shift their capital to those fields. Capital pools in one industry, whereas a more even distribution among industries may be more optimal. In addition, it actually creates moral hazard, wherein financers take on more risk than they normally would have because of the government guarantee. With Fannie Mae and Freddie Mac, this all contributed to a huge housing bubble. The country did not need so many new single family homes. We needed affordable housing, infrastructure, investments in education, and a host of other capital intensive construction, but because of the government supporting home ownership, everyone went full speed ahead into housing until it was too late. I don’t believe that we are in a manufacturing and industrial export bubble; however, the market may be distorted by the cheap capital flowing to the sector from the government. The market may naturally be demanding renewable energy, infrastructure, affordable housing, technology, and software, but instead a disproportionate flow of capital is going to heavy industry. In my opinion, it would just be better to not directly financially support particular industries with capital, and instead just create policies that allow industries to flourish naturally (tax policy, employment policy, intellectual capital and patents, etc.). During an industry’s infancy direct capital support may even be the correct policy, but as an industry matures, which heavy industry in the United States certainly has, so too does the policy need to, and the capital support needs to taper and eventually disappear. This has not happened, and we continue to see massive American firms such as GE, Boeing, and Caterpillar, getting the largest sums of our export credit support. 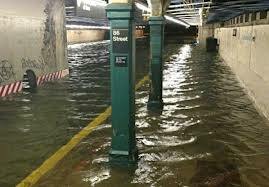 I nearly wrote an article about government flood insurance a few years ago after Hurricane Sandy, but everything that needed to be said at the time was published by other people, so I abstained from writing my own opinion. But I think that now is an appropriate time to return to the topic. Private homeowner’s insurance does not cover flooding. It used to, until the 1950’s and 60’s, when losses were mounting to insurance companies, premiums were rising, poorer people in flood zones were left – ahem­ – without a paddle, and insurance companies began dropping flood coverage altogether. Federal flood insurance covers this gap. Homeowners pay premiums and the government covers losses. Originally, the program was implemented to reduce the government’s exposure to flood losses. FEMA was paying out large sums after natural disasters to uninsured homeowners, so the insurance program was extended to communities in flood zones that were willing to adopt flood mitigation and management plans. In addition, the federal government hoped that by pooling funds into a national program, localized events could be covered and absorbed by premiums paid into the system nationwide. 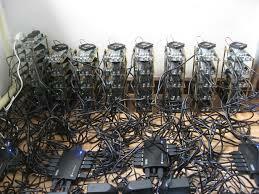 However, in practice, the supposedly self-sustaining program has become costly and far from self-sustaining. Rates remain below market levels and risk has been poorly quantified and distributed. The system (which is administered by FEMA – they’re doin’ a heckofa job!) has borrowed from Treasury on multiple occasions, and is currently $24 billion – ahem – underwater. One of the problems is the flood maps. Anyone living in a flood zone as indicated on these maps is legally required to have flood insurance. But the maps are outdated and not accurate. They underestimate the risk of floods. As a result, people who are in fact in flood zones, even though they do not have insurance because the maps do not require them to, are getting flooded out and requesting emergency relief funds. Plus, people who do have coverage are under-insured because the maps are not adequately estimating the risk that they are under. The problem with risk identification does not point to a philosophical objection to the policy, but instead a problem with how it is carried out. These problems could be resolved by simply updating the flood maps and having premiums reflect actual risk. However, I have a more fundamental objection to the national flood insurance program: people who do not live in flood zones are subsidizing people who do live in flood zones. I am from the Hudson Valley, which is historically a relatively safe place to live and not flood-prone. It is one of the reasons why I love my home region. And as a taxpayer, I do not want my tax money to be subsidizing people who have multiple homes or choose to live in riskier areas, such as beachside. Government policy should be incentivizing development in less-risk regions, and people who elect to live in riskier zones should foot the entire bill themselves (in this case through a private flood insurance market). Of course, there are always questions of poverty and mobility. There are many impoverished communities around the United States in flood prone areas. I am amenable to a program that assists these communities, but this would be a vastly scaled down national flood insurance program, not the $24 billion indebted behemoth that we see today. Over time the country would be better off if flood-prone regions became less populated. Scaling back flood insurance would achieve that. Some of the saved money could even be used for relocation assistance, or any number of other assistance programs. The Terrorism Risk Insurance Act (TRIA) was enacted after September 11, 2001 so that large development projects could continue as insurance companies, banks, and developers, readjusted their models for terrorism risk. It has been continually renewed since them. It is supported by Congresspersons and Senators from major metropolitan areas, developers, and of course insurance companies who can transfer their risk to the federal government. Organizations such as the NFL and NASCAR also support TRIA, since it helps to insure large events such as the Super Bowl. Treading into appropriate risk and terrorism is an ideological minefield. Dare I ‘let the terrorists win’? Pushing aside those considerations (which, yes, I believe are asinine), if there is risk in development, then I believe that the federal government and by extension, the taxpaying public, should not have to bear the risk. This is a running theme in this article and a general belief of mine. Investors should bear risk, not anyone else. If large-scale development is too risky because of the potential for terrorist attacks, then do not engage in large-scale development, or at least modify plans to disperse risk and make them less desirable or less likely targets. A market failure common in insurance is adverse selection. Adverse selection is when the people most likely to have to make a claim buy the most insurance. This overwhelms the mutual risk sharing pool of premiums (since not many people who are not making claims are paying in) and the insurance scheme fails. It is very common in health insurance. Sicker people bought more insurance, and as a result policies were always going up and up and up, forcing out healthier people (and putting them at risk for sudden and expensive health emergencies). The individual mandate in the affordable Care Act was meant to address this very issue of adverse selection. But I do not see any adverse selection taking place in the terrorism insurance market. The case can certainly be made that New York and a handful of other states bear more risk, but insurance is administered at the state level anyway, so this risk concentration is not contributing to any adverse selection at a national level. Another theme in this article is that I do not categorically oppose all of these programs and want their subsidies rescinded, immediately. However, moderation and more specific selection of beneficiaries are imperative. With the example of terrorism insurance, perhaps developers in Washington DC do bear outsized risk due to the presence of the federal government. The government could then rightfully offer terrorism insurance for developments in the District of Columbia. And as I mentioned in the case of the Export-Import Bank, direct government support of infant industries may be warranted and appropriate. However, I do not agree with these largescale subsidy programs. TRIA is likely a program that had its merits in 2001 and 2002 when America was one big patriotic brothel and everyone wanted to do anything that they could to fight the terrorists and help the country get out of a recession quickly. However, since then, there have not been any terrorist attacks and there has never been a terrorist insurance claim filed (the Secretary of the Treasury has to declare an act of terrorism for the government to backstop the insurers, and he declined to do so after the Boston Marathon Bombing). Since 2001 terrorism insurance has just become a profit getting boondoggle for the insurance companies. New developments are required to have terrorism protection by the banks, so the insurance companies are guaranteed revenue, while the federal government backstops the majority of the risk. The risk is also extremely difficult to quantify and model, because terrorism attacks have been extremely rare, are subjectively defined, and the loss distribution of the attacks has been extremely wide. This directly calls into question the insurance industry’s pleas for government support. 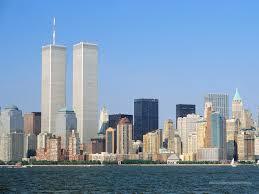 Luckily, there have not been any terrorist attacks in the United States since September 11. As a result, terrorism insurance has only cost tax payers $1 million a year in administrative fees. However, were there to be an attack, in addition to the loss of life, injuries, and property damage, a huge hole may get blown in the national budget. Taxpayers, whether or not they are shareholders of development companies, would have to fill this hole. I am not aware of Representative Hensarling’s position on Essential Air Services (EAS), but it is a government program in the vein of the others that I have discussed here in this article. I am not a fan of the program. Prior to 1978 the government heavily regulated air travel. Fares and routes were mandated by the government. This system provided flights to smaller and more remote cities around the country. After deregulation, communities feared that airlines would eliminate flights to smaller cities, since these flights are less profitable. In response, the government enacted EAS, subsidizing flights to 160 rural communities around the country (43 of these communities are in Alaska). Excluding Alaska, which has separate operating parameters, the program cost $241 million in 2014. 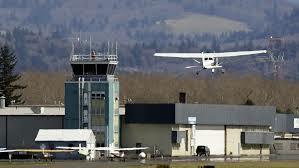 Apply the Eric Test: Is there evidence of a market failure in the rural aviation industry? I don’t believe so. By subsidizing flights to smaller rural cities the government is making the cities marginally more attractive places to live. However, the economy works most efficiently when labor moves to where it is in demand. During the early and mid-20th century smaller rural cities were certainly labor centers. Agriculture was more labor intensive and employed more Americans, mining was more prominent, and industry and manufacturing was more dispersed. However, in the current economy demand is concentrated in larger cities that have hi-tech firms, universities, established industries, cargo infrastructure, and large health care systems. Smaller rural cities ought to shrink in size until they reach equilibrium – residents who desire to remain in the city and receive satisfaction from doing so can live there, and they can pay workers in the service industry sufficient wages so that everyone in the city can maintain happy and healthy lifestyles. EAS disturbs this equilibrium, and we are all paying for it! I don’t like it. I do not propose that these communities be immediately cut off. People and communities need time to adjust. However, over time, service needs to be transferred away from these communities, and I suspect that population will decrease as well. Many of these communities were once thriving, due to the presence of industry, such as mining, which is no longer present. These people would now be better off, and so would the rest of the country, if they moved to other population centers where their labor is in demand and they have easier access to public and private services, such as quality health care, education, shopping, entertainment, banking, government services, and social networks. Kill EAS, Jeb! Government subsidies and related economic support programs are often pet projects of politicians from around the country. That is why so often politicians from across the aisle get in bed together on these issues. If the policy benefits their district or state they will support it, political and economic philosophies aside. To see through this political theatre and their rhetoric apply the Eric Test: Is there evidence to indicate the presence of a market failure? If not, oppose the policy or regulation. Airlines, like most companies that offer services, not goods, have high fixed cost. They have to pay their staff and buy and fuel airplanes, whether they are full or not. And any time an airplane is not flying, it is unused capital. Spirit has done an excellent job managing this challenge. 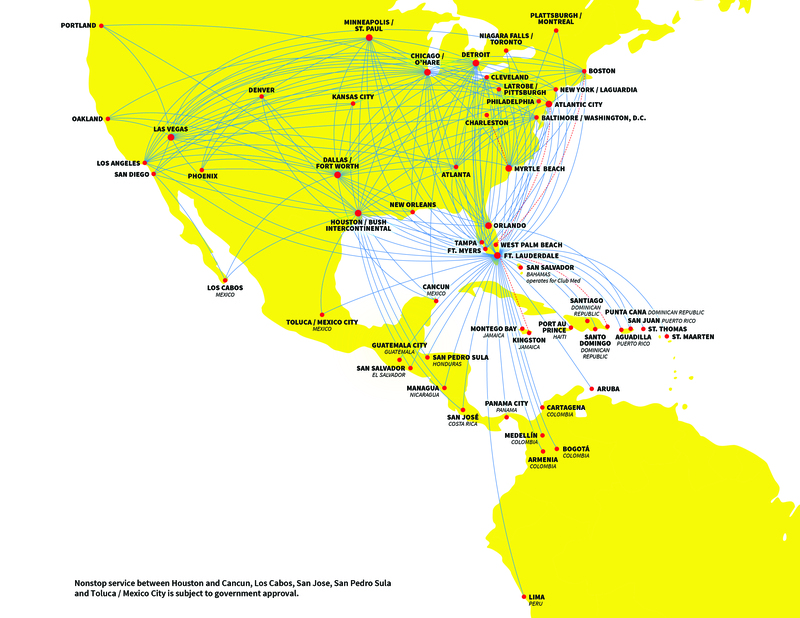 By positioning themselves in a South Florida hub, Ft. Lauderdale, they can easily access Central America, the Caribbean, and parts of Central America. Many airlines leave their regional planes at the gate overnight. But Spirit gets them to Ft. Lauderdale, and then sends them on return red-eyes to the Caribbean, Central America, and Colombia. By 6:00 AM planes-full of passengers arrive in Ft. Lauderdale, and either stay in South Florida, or continue on other Spirit flights to their final destinations, whether they be Chicago, New York, Dallas, or elsewhere. 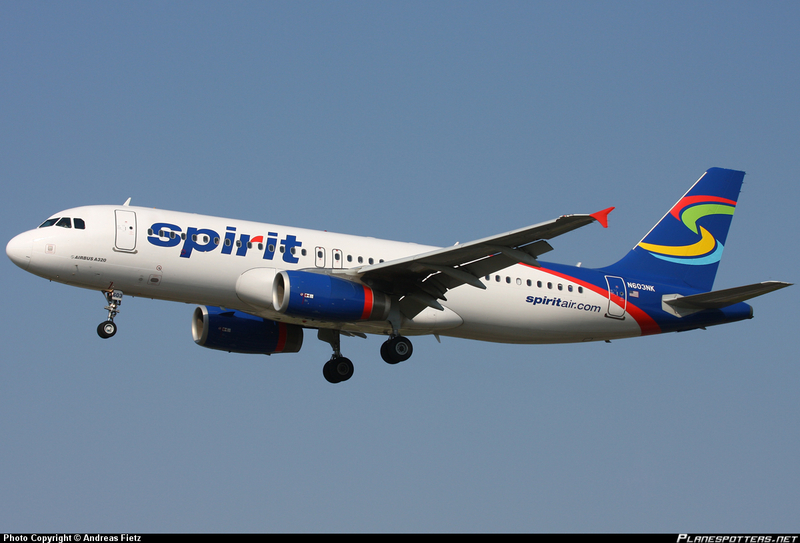 Spirit simultaneously tapped what was an under-served market and increased the utilization of their 65 airplanes strong fleet (as of the end of 2014). The downside of this is that they have no buffer in their schedule. On the occasion on my flight from Managua, we were nearly an hour delayed. The plane had been getting more and more late throughout the day, having already made a few trips between Ft. Lauderdale and La Guardia before heading to Nicaragua. Then, as soon as we got to Ft. Lauderdale (late) the plane was scheduled to immediately head out to another domestic destination. It certainly departed late, starting off its next day of work on a bad note, and probably continuing late for the foreseeable future. This gives the airline absolutely no buffer in its schedule. Many airlines leave their regional jets idle overnight. So if an airplane scheduled to arrive at its final destination of the day at 10:00 PM doesn’t get there until 11:30 PM, that’s not a problem for its next departure, at 6:00 AM. However, Spirit does not have this luxury with its fleet. The result: the worst on-time performance among American airlines. 67% of flights land on-time (within 15 minutes of their scheduled arrival time) in 2013. That’s dead last in the United States, Mexico, and Canada, according to Bloomberg. Many people complain about how Spirit “nickles and dimes” its passengers. But truly, travelers who are honest about their baggage and pay ahead of time will find themselves paying less for flights than on other major carriers. The true cost comes in late arrivals. For someone with a tight itinerary, Spirit may not be the right choice. 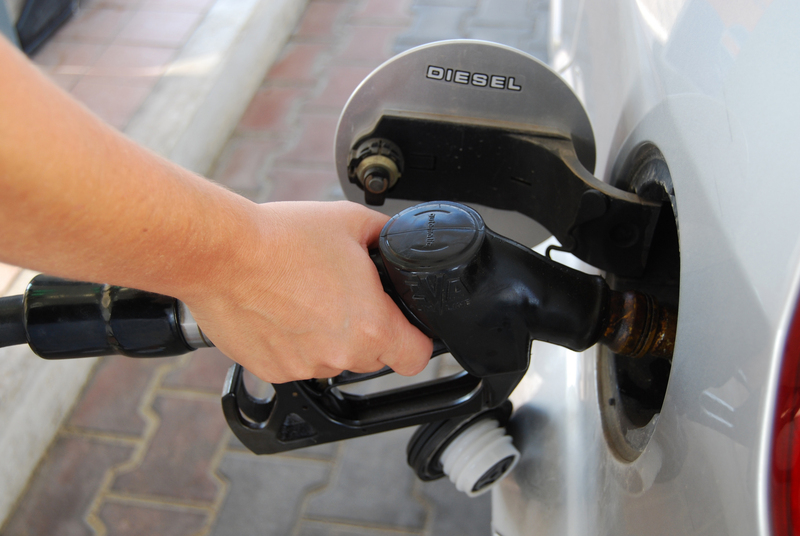 Having now written four articles on oil, its price, and the consequences that has for everyday uses of oil, such as gasoline and airfare, I have decided to turn these into a series of posts I am calling the Economics of Oil. As always, comments are welcome and encouraged, even if you disagree with me on any point. With the plummeting price of oil the news is filled with articles about how even though jet fuel is the number one cost that airlines incur (around one quarter to one third of total operating expenses), airfares are not going to go down anytime soon. Airlines tack-on “fuel surcharges” to their ticket prices, which can be especially high for international flights. 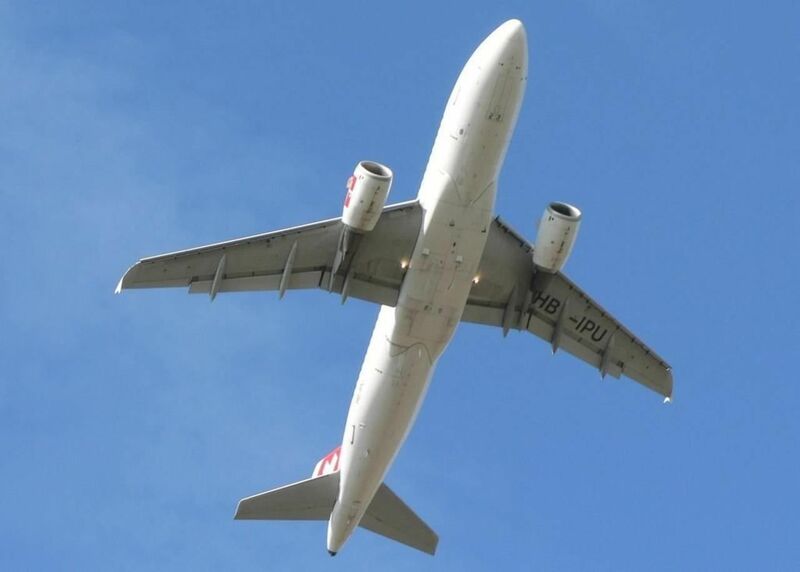 A few airlines are publicizing that they are decreasing or eliminating their fuel surcharges, but for the most part, they are staying in place for now. Intuitively, this does not make sense. In fact, it does not even seem fair. And to me this illustrates the possible existence of a market failure which ought to be explored and if it is found to exist, eliminated, insofar as it can be. The market for air travel is an oligopoly – a very cramped one, at that, in the United States, which I have written about before. And this in and of itself lends itself very sticky prices. However, disregarding that reality of the market, I believe that there are other forces at play colluding to keep the price of airfare high through those pesky fuel surcharges, despite the falling price of oil, and commensurately, jet fuel. 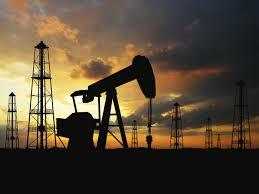 Airlines purchase hedging derivatives, called swaps which are based on the price of oil and/or jet fuel. Basically, they are bets on the future price of the commodity (jet fuel is refined from oil, but other variables, such as refinery capacity, make it so that jet fuel and oil do not move 1:1). If an airline thinks that oil is going to go up, which would increase their costs, they can buy a swap that says that over a certain dollar amount, say $100, the counterparty (such as a bank) would have to pay the difference. Then, if oil moves to $110, the airline would only have to pay $100 and the bank would pitch in the last $10. If, on the other hand, the price of fuel dropped to $90, then the airline would be caught buying fuel at $90 and having to pay an additional $10 to the bank. Other forms of derivatives, such as options, can also be used with similar results. So, as you can guess, the airlines have purchased a lot of upside protection, so right now they are still paying high prices for jet fuel, based on their derivative contracts, even though prices have plummeted. This is one of the reasons why fuel surcharges still hang over airline tickets. Anyone who has read my blog in the past may be thinking to themselves that this sounds vaguely familiar. In fact, it is very similar to the interest rate swaps debacle that Detroit got itself into. Right now, Delta and Southwest, who were both lauded a few years ago for wise hedging strategies, are reeling the most from the swing in oil prices. American Airlines, on the other hand, has less derivatives exposure, so it is set to gain more from the drop in the price of oil. Importantly though, even though American Airlines is set to gain, the oligopolistic nature of the market will mean that few of the saving will be passed on to travelers. American can keep its prices high precisely because Delta and Southwest can’t drop prices. The only people who are set to gain are American Airlines shareholders (and the bankers, of course). The fact of the matter is, for any swap, the two counterparties take contrarian bets. In our case, the airline wins when prices go up, and the bank wins when prices go down. So to be on the other side of the bet, the banks must have seen the potential for oil prices to decline. Rarely do you hear that banks are the ones suffering from being on the wrong side of hedges. Maybe the banks are superior pricing models, or maybe they account for such a large share of international volume that they can influence the price through clandestine means. I don’t know, but it seems that their clients are always the ones taking outsize bets and losing the house. I completely fail to see the wisdom by which everyone espouses the abundant use of derivatives. And now, with oil so very far off its relatively recent highs, airlines, especially in Europe, are looking to lock in new hedging positions, betting that prices for oil won’t drop below $40/barrel. I think it is only a matter of time before an international airline blows-itself up financially up with a backfiring derivatives strategy. Not only do airlines hedge their jet fuel risk, they engage in foreign exchange hedging, and refineries, which have close financial ties to airlines, hedge as well. Sorry that I have not posted in a while. I have been a bit busy and I recently came down with the flu. It is only fitting that this article is about disease. I’ve also got a climate change post in the works. I wanted to post it a few weeks ago when all eyes were on New York, so I guess I’ll just have to post it with a back-date now. Two aspects of the Ebola case in Dallas bother me a lot. The first is that the patient went to the hospital with symptoms, told the hospital he had recently been in West Africa, and nevertheless he was turned away. I can’t know for sure, but I assume that the patient is uninsured, and the admitting nurse, who is instructed to turn away patients who are unlikely to be able to pay their hospital bills, simply saw the hospital’s finances as a greater danger than Ebola. I assume that the FAA has a database of all passengers coming and going from the US. If not Homeland Security, the airlines, or probably the NSA does. Gather this data and discard all trips that do not originate in West Africa. Then count up all the trips by the airport that they terminate in and convert this into a percentage. And there you have a crude estimate of the most likely entry points for Ebola into the United States of America. I’m assuming that JFK will be high on the list. Maybe Chicago, LA or San Francisco, and maybe Dallas and Miami will be high on the list as well. Now that will only cover some of the possible passengers who could carry the virus. People could travel to an infected country on a different ticket, and then later come back to the United States. For instance, last year my friend went to West Africa for work, and on the way home he spent a few days in London. I assume that his Africa-London ticket and his London-US tickets were different. These would be harder to track because I don’t know if there is reliable data available on these trips. Maybe Homeland Security, the NSA, the FBI, or the CIA tracks these trips, but I think it would be difficult for even an economist at the CDC with security clearance to obtain this information. 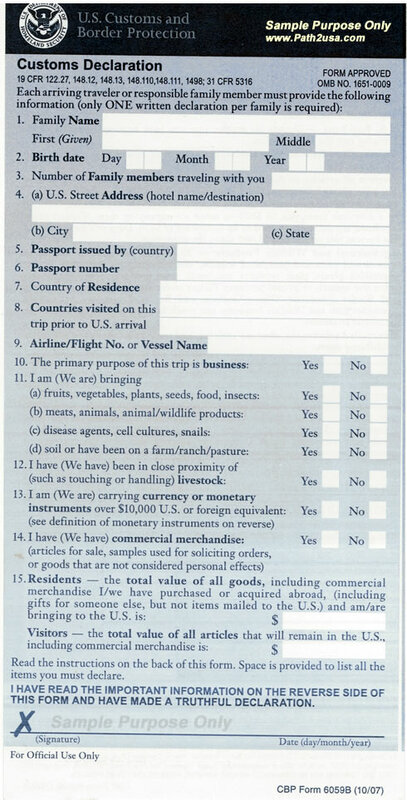 However, on landing cards for the US you are asked, “Countries Visited on this trip prior to US arrival.” Of course these are not digital, but it is possible that Homeland Security has some stats they can share. I won’t dive into how to process these stats, since we have no idea what form they could take. Lastly, another way to capture the elusive passengers who visited West Africa on non-US terminal tickets is through a random sampling method. First, collect a list of all possible one-stop destinations from Liberia, Guinea, and Sierra Leone. I think that one stop is reasonable. There are very few non-stop flights from West Africa in general, but I think that two-stop flights may be casting the net a bit too wide. From this list, eliminate any flights that terminate in the US (those are already covered by the supposed-FAA data) and any flights that do not terminate in an airport with flights direct to the United States. From the FAA data, randomly select passengers departing from these airports to see what airports they are arriving to in the US. The random sampling could even be weighted, giving higher preference to more likely airports, such as those in Europe, and lower preference to less convenient flights, such as East Asia. Simply add this sampled data to the FAA-obtained data and you have a more complete, albeit less-than-perfect, picture. The last obstacle is time-frame. Peoples’ flight patterns and behaviors have changed since many airlines have cancelled flights to West Africa. So this data should probably only be collected over a six month period or so. Otherwise we would be setting up screening centers in airports that are no longer seeing passengers coming from West Africa. If these data are properly parsed and analyzed, the government would have a list of the most likely ports of entry for Ebola. With this information they could set up screening centers in a cost effective manner that interrupts and inconveniences air travel as little as possible. I first had the idea for this article about a year ago when MERS was popping up, but I didn’t write it. Then a few months ago, when Ebola was just beginning to rear its head, I resurrected the idea, but I didn’t follow through. I wish I had written this earlier, but nonetheless, I’m taking her home this time. From a public health point of view, 2014 has seen an alarming number of epidemics spreading around the world. MERS is emanating from Arabia and infecting travelers worldwide. One of the most feared diseases of modern times, Ebola, is experiencing its worst outbreak in history. And the infamous Plague has appeared in Colorado and China, alarming public health workers. That’s not to mention the spread of Chikungunya (chik-en-gun-ye) in the US and Latin America, and terrifying protocol breaches at infectious disease laboratories in the US. In addition to the devastating human impact that the spread of infectious disease has, there are also acute economic impacts that are interesting to explore. The last time that there was an epidemic of worldwide proportions was 2003, when SARS ripped across Asia and spread to others regions of the world, including Canada. The epicenter of the epidemic was Hong Kong. Due to fear of the virus spreading, people tended to avoid the public sphere. As a result, consumption plummeted. Certain retail establishment, such as restaurants and movie theaters, saw traffic decline by more than 50% during the spring of 2003. Overall, Hong Kong retail sales were 6.1% down year-over-year in March, and a whopping 15.2% in April, before fully recovering by July. In addition, travel and tourism were severely stunted during the outbreak and for a period following it. In total, Hong Kong saw 63% fewer visitors during the outbreak, and during the height of the scare air traffic fell by 77%. SARS eventually infected 8,422 people, resulting in 916 deaths. This equates to a mortality rate of 10.9%. Most remarkably, due to the public health response to the virus, all victims were identified and isolated, and SARS has been completely eradicated from the human race. There has not been a single reported case since the outbreak in 2003 was contained. It is the only disease in the history of the world that humans have achieved 100% eradication. 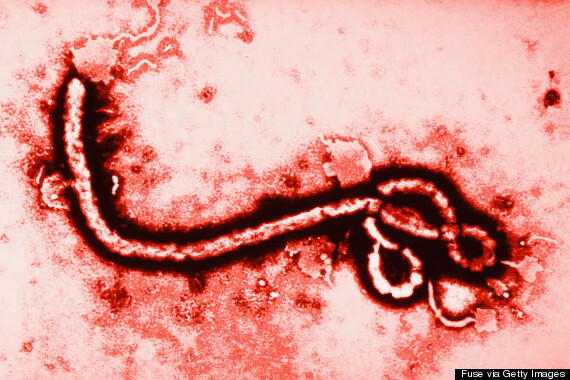 Ebola, on the other hand, has a much higher mortality rate. In some previous outbreaks it has reached 90%. So far in 2014 it has not infected as many people as the SARS outbreak, probably because the West African countries it is spreading through are less densely populated and have fewer interconnected socio-economic communities than East Asia. However, it is taking serious tolls on the under-developed economies. Consumption, like in Hong Kong, China, Singapore, Taiwan, and Canada, during SARS, has plummeted. Even though the virus is not spread through the air, no one wants to risk catching the disease from an infected person at the market. Plus mines, which are one of the economic engines of growth in Africa, are shuttering to prevent the spread of the disease through workers. 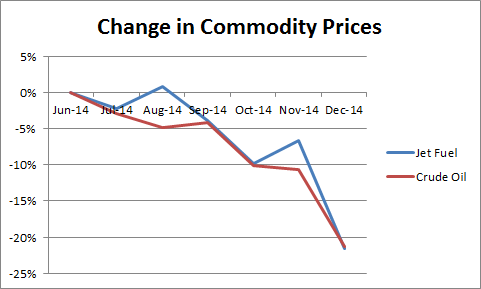 And globally, prices for agricultural commodities such as cocoa and palm oil are increasing in anticipation of an under-productive harvest in West Africa. Lastly, foreign airlines are cancelling flights to the three infected countries – Sierra Leone, Guinea, and Liberia. And the latest news from West Africa now has the disease spreading into Senegal as well, although it seems to be contained in Nigeria. These short-term impacts fail to mention the more dire impact on human capital. With the loss of life there is an immense loss of economic productivity for years to come. In addition, this Ebola outbreak is acutely affecting health care workers who are caring for patients. Health care workers, especially doctors, are extremely productive members of economic communities, and the affected countries will have to reinvest millions in medical education for years to come to recuperate the losses they are experiencing as their best doctors and nurses succumb. In addition, with attention being placed on Ebola, other virulent diseases are being neglected, so mortality rates are rising generally across West Africa, further sapping human capital. The last time there was a widespread, nearly uncontrollable worldwide pandemic was 1918, when Spanish Influenza spread across the entire world and killed 40 million people worldwide, including 0.8% of the population of the United States of America. Evidence from the pandemic is hard to come by, but the main effect, similar to SARS, was a vast reduction in retail sales – the face to face interactions that often drive economic activity. However, globalization had not swept the world by 1918. Commercial air travel did not exist, and World War I was still being fought, severely limiting international travel and economic cooperation. If another global pandemic were to arise, the economic effects could be far more severe. Although there has never been an international pandemic during the era of globalization of international air travel, we can use the experience of the 2010 eruption of Eyjafjallajökull (EH-ya-fi-AHT-la-yo-coot) on Iceland. Due to the emission of ash particles into the atmosphere, air travel across Europe was all but shut down for a week in 2010, stranding millions, stunting professional services-based economic activity, and shuttering the tourism industry for a short time. In the UK alone, 456.5 GBP was shaved off of GDP, an equivalent of 0.02% of annual GDP. This translates to more than 10,000 jobs. The impact was much larger on the airline and hospitality industries (British losses exceeded 700 million GBP), but domestic consumption, in the form of retail sales, was not affected. In fact, the stranded customers likely boosted retail sales by having to eat and sleep for an extra week. If an infectious epidemic were to spread globally, forcing governments to close borders and ground air travel, the British and European volcanic experience could be magnified hundreds-fold. Tourism and business travel would evaporate. Plus, most forms of human economic interaction, mainly shopping and entertainment would dry up before our eyes. Shops would close, lay-offs would be massive, and most effected economies would dive head-first into recession, if not depression. Interestingly, cyber commerce may experience a boon, with consumers preferring to shop from the safety of their home computers. That is, as long as telecommunications were still properly functioning and not suffering from the loss of workers, and delivery services, such as FedEx, UPS, and the US Postal Service, were still carrying out package deliveries. I truly hope that the current Ebola outbreak in West Africa is contained and eradicated, because the pain that victims and their families are suffering must be awful and the fear that the populations are living in absolutely stifling. And I also hope that societies around the world take this as an opportunity to optimize their public health initiatives, if only to prevent undue harm to economies, developing and developed, from epidemics and pandemics.